On Tuesday, the Scientific Subcommittee of the DC Department of Health's (DOH) Medical Marijuana Program (MMP) held a public meeting to determine if there would be an increase to the 30-day possession limit for patients. By a unanimous vote, the Subcommittee voted to increase the limit from two (2) to four (4) ounces. 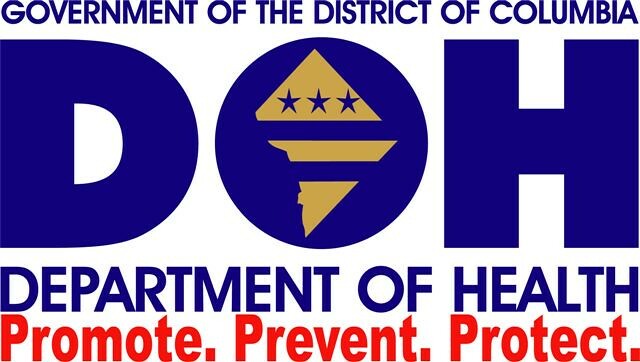 The increase does not need to be approved by the DC Council, as the MMP statute allows the DOH to set the limit anywhere between two and four ounces per 30 days. Today's vote is a major victory for District patient who need at least two grams of dried flower per day. While the DOH had issued an emergency rule last fall to allow patients to obtain amounts above two ounces per 30 days, the waiver required a significant amount of paperwork from the patient's physician and only allowed the patient to obtain above two ounces in oil form. While the details of today's increase are still forthcoming, it appears that the new four-ounce limit will apply to all forms of cannabis sold by dispensaries licensed under the MMP. The Drug Enforcement Administration (DEA) is about to make a very important decision regarding whether or not to reschedule cannabis from its Schedule I status. This decision will have substantial implications for the two million patients that currently have access to medical cannabis and cannabis products under state laws. Cannabis has been listed as a Schedule I substance - defined as a drug with high potential for abuse and no accepted medical use - along with heroin and LSD since the 1970’s. This Schedule I status makes it illegal to grow, possess, use, or distribute under federal law. While many other drugs have been rescheduled, cannabis has stayed in Schedule I for 46 years. Patient Focused Certification (PFC) and the American Association for Laboratory Accreditation (A2LA) will be hosting a PFC Verified Professional (PFCVP) training, July 11 - 15 at A2LA headquarters in Frederick, MD. This weeklong set of courses will provide a professional credential for individuals working in the cannabis industry. The PFCVP standards represent the consensus of the world’s leading experts on cannabis, hemp and botanical product regulations. Having met strict criteria established by the PFC program, individuals can use PFCVP to prove they have mastered core industry standards, state laws and regulations, and product safety protocols. PFCVP ensures you and/or employer, that you have the skills, expertise and training necessary to meet regulatory requirements. Individuals who successfully complete the PFCVP will also complete the 100 Level of the PFC Auditors Training Program. Who should attend this training: Regulators, people interested in becoming auditors, companies applying for PFC certification needing to satisfy training requirements, cannabis business professionals, and businesses applying for state licenses. Medical cannabis patients scored a huge victory in California last week, when the Assembly Revenue and Taxation Committee rejected SB 987. That bill by Assembly Member Mike McGuire (D-Healdsburg) would have imposed a statewide excise tax of 10% on medical cannabis. The tax would have been in addition to existing sales tax, any new or existing taxes imposed by cities and counties, and any other taxes adopted by the state legislature. Americans for Safe Access (ASA) opposed SB 987 because it would have placed an unfair burden on legal medical cannabis patients. Thousands of ASA members sent emails, signed petitions, and made phone calls opposing the bill in response to our action alerts. Hundreds visited legislative offices in person to oppose the bill as part of our California Citizen Lobby Day in March. Those efforts paid off last Monday, when the committee voted 4 to 5 to kill SB 987. Tuesday, June 21st and Wednesday the 22nd were exciting days on the hill for Americans for Safe Access and Utah activists. On Tuesday, Americans for Safe Access and Senator Kirsten Gillibrand (D-NY) held a briefing on the Compassionate Access, Research Expansion, and Respect States (CARERS) Act (S. 683/H.R. 1538). The briefing featured policy experts and medical cannabis stakeholders who would be protected by the bill. Lead CARERS Act sponsor Senator Cory Booker (D-NJ) spoke on behalf of the bill as well. On May 31, 2016, Puerto Rico for Safe Access was officially welcomed by Americans for Safe Access as the first Chapter this organization has on the geographic areas encompassing the Caribbean and Latin America, thus expanding their reach and support outside the continental US. Puerto Rico is a Commonwealth of the United States of America. Americans for Safe Access (ASA), which is the largest non-profit member-based organization advocating for safe use and research of medical therapeutics. ASA has over 50,000 members, and the support of numerous sponsors, partners, and affiliates, ranging from patients, to doctors, lawyers, researchers and volunteers, who all share one common ground, which is to fight for and protect the right of every patient to benefit from medical cannabis therapies. On Tuesday, Senator Al Franken (D-MN) became the 20th senator to sign on to the CARERS Act (S. 683). With the news, Franken has become the second senator on the Judiciary Committee in recent months to become a CARERS cosponsor, joining Senator Lindsay Graham (R-SC). Last month, Elizabeth Warren (D-MA) also became a cosponsor. Franken also joins Judiciary member Chuck Schumer (D-NY) who became a cosponor last July. The CARERS Act currently is stuck in the Senate Judiciary Committee, where Chairman Chuck Grassley has refused to give it a hearing. With growing support among Judiciary Committee senators, it will become more difficult for Grassley to continue to block the bill. ASA is currently organizing petition in Grassley home state of Iowa to urge him to give the bill a markup hearing with a vote.